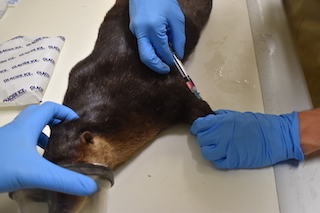 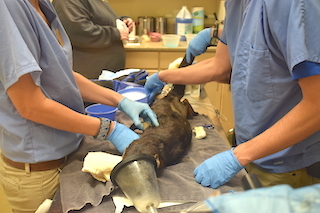 The otter was anesthetized for its six week post-surgery check. 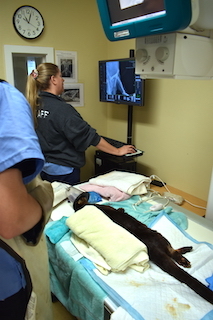 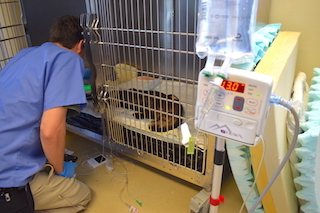 Veterinarians took radiographs and obtained a blood sample to check his chemistry. 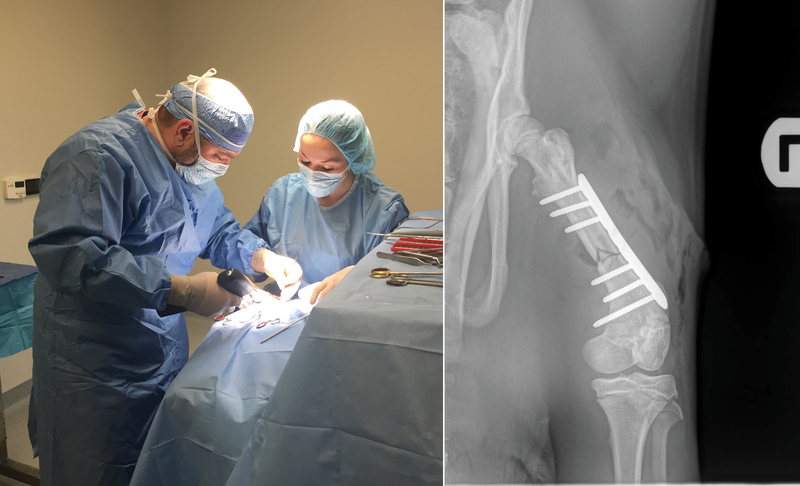 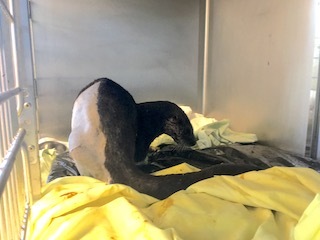 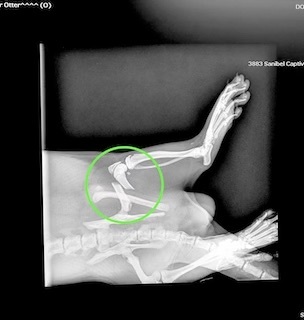 The radiographs showed that the fracture is making progress, however, there was not as much radiographic evidence of bone callous formation as the veterinary team had hoped. 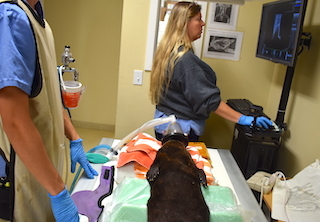 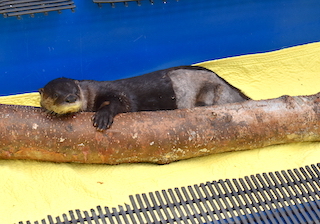 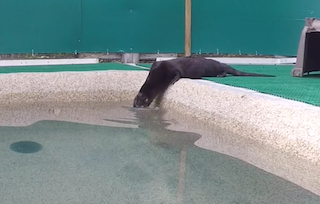 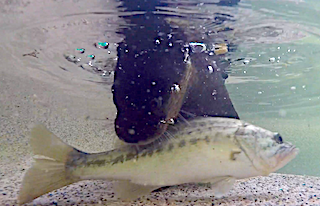 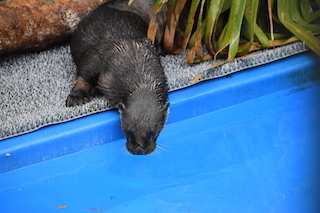 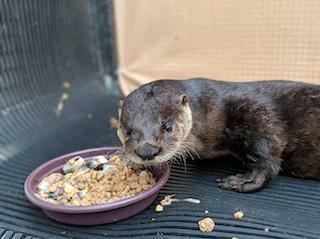 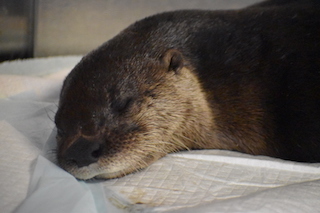 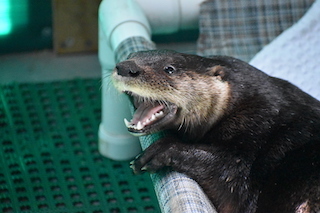 The otter recovered uneventfully from the anesthesia and was returned to his enclosure later in the day.